What were the sights, sounds, and stories that sparked your childhood imagination? Maybe you still remember hearing an eerie song your music teacher played for the class, or staying up late to sneak in a scary movie you weren’t allowed to watch, or reading a book by flashlight under the covers, wide-eyed and filled with wonder? Welcome to the world of PHLEGM: A stark black-and-white world that straddles an uncanny future and a mythical past; a world full of castles, telescopes, and mechanical claws, populated by giant, fantastical creatures, extinct species, and twiggy-limbed humans; a world that feels plucked out of a children’s book, or, in its darker corners, a child’s nightmare. Given the dreamy, fable-like feel of his art, it seems appropriate that PHLEGM’s own background is full of unanswered questions. Like Italian political street artist BLU, PHLEGM rarely grants interviews, and we know very little about his early life and career beginnings. A sort of traveling street art magician, PHLEGM has always preferred to make his mark and then move on, leaving his work to speak for itself. For PHLEGM, it could be no other way, as he feels the personal attention, commissions, galas and gallery openings only hinder his creativity. Though personal details about the muralist are scarce, some of the most fascinating information we can learn about PHLEGM is found on his blog, which he’s maintained since 2009. The blog, which also functions as an extensive PHLEGM photo gallery, keeps fans up-to-date on new works by PHLEGM and offers a unique chance to learn about PHLEGM and gain insight into his inspiration and creative process. 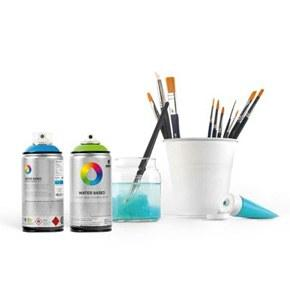 There, by his own account, we find out that PHLEGM scraped by as a comics artist after finishing his fine arts degree, but soon found himself stalled and dissatisfied in his work. Given the otherworldly subjects of PHLEGM’s work, it seems appropriate that you’ll often see PHLEGM art in such run-down, abandoned, and otherwise unexpected locations, his bizarre characters seeming to simply manifest on the sides of canal boats, in crumbling schoolhouses and remote villages, often popping out of portal-like windows or doors, as if peeking at us from another world. Though Sheffield locals were the first to stumble upon such pieces and learn about PHLEGM, the muralist’s reputation soon grew in England and beyond. 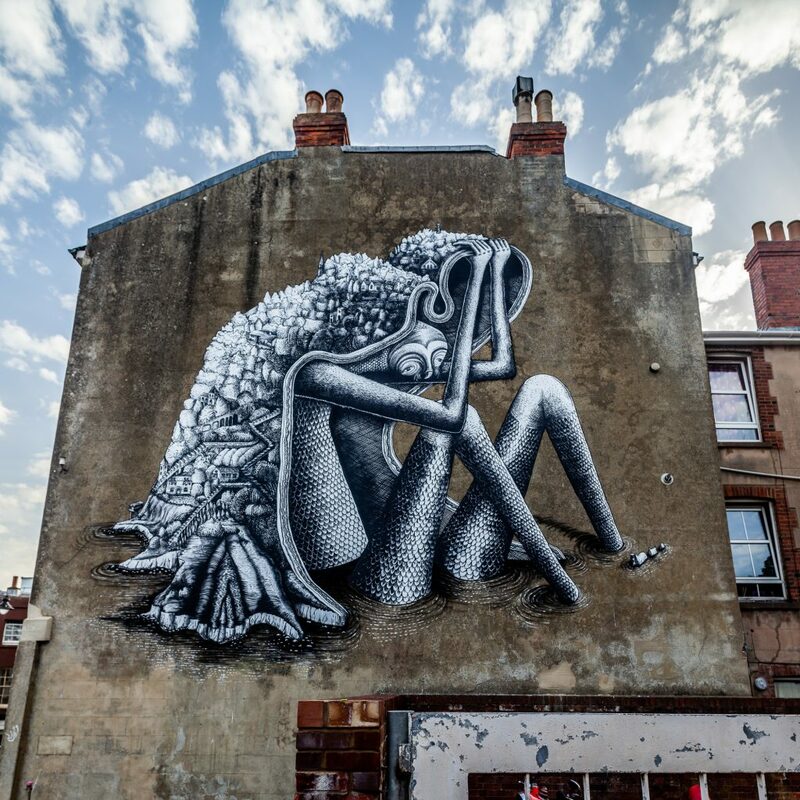 PHLEGM has gone on to make mural art across Europe, the United States, Canada, Australia, and New Zealand, breaking into the fine art world with his first solo gallery opening in 2014. Though PHLEGM takes his name from the ‘four humors’ espoused by Ancient Greek and Roman physicians (black bile, yellow bile, blood, and phlegm, the last of these linked to dulled emotions and indifference), take a look at Complex’s PHLEGM photo gallery and one thing you’re sure to learn about PHLEGM is that his work inspires anything but apathy. PHLEGM’s bold, expressionist mural art -- which he describes as partially “inspired by medieval bestiary books” -- recalls the surreality, scale, and intricate detail of masters like Hieronymous Bosch; his hybrid creatures, at once tender and frightening, covered in scales, fur, and feathers, resemble illustrations from old books on witchcraft and demonology like de Plancy’s Dictionarie Infernal; and PHLEGM himself cites icons like Henry Darger and Charles Dellschau, two men also known for their outsider art, as (unfortunately deceased) dream collaborators. Like much of the work that has inspired it, and as might be expected given his background in comics, there is a distinct narrative quality to PHLEGM’s mural art. 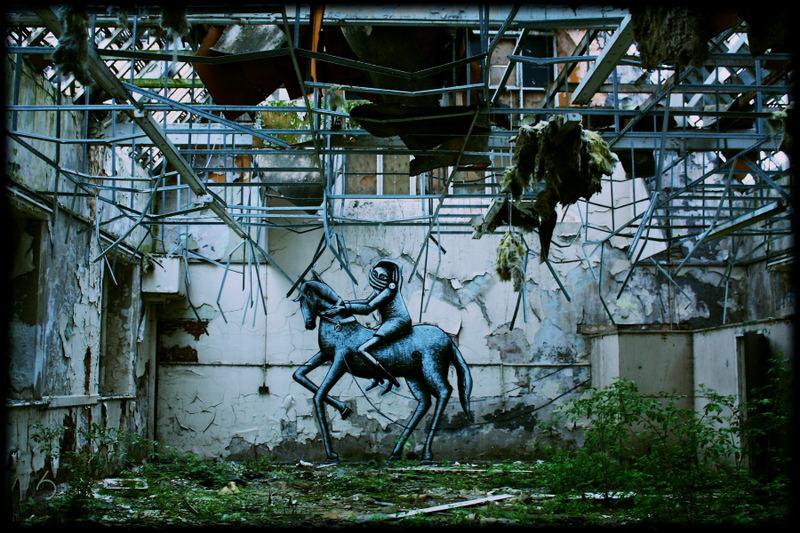 His walls often feature bits of sequential storytelling or references to classic myths and fairy tales, each piece dense with history and allusion, as in PHLEGM’s playful reinterpretation of Poussin’s The Triumph of David, painted at the Dulwich Outdoor Gallery. As Instagram’s PHLEGM photo gallery shows, the muralist has kept busy in recent years, restless with creative energy and a need to stretch and explore new dimensions in his work. 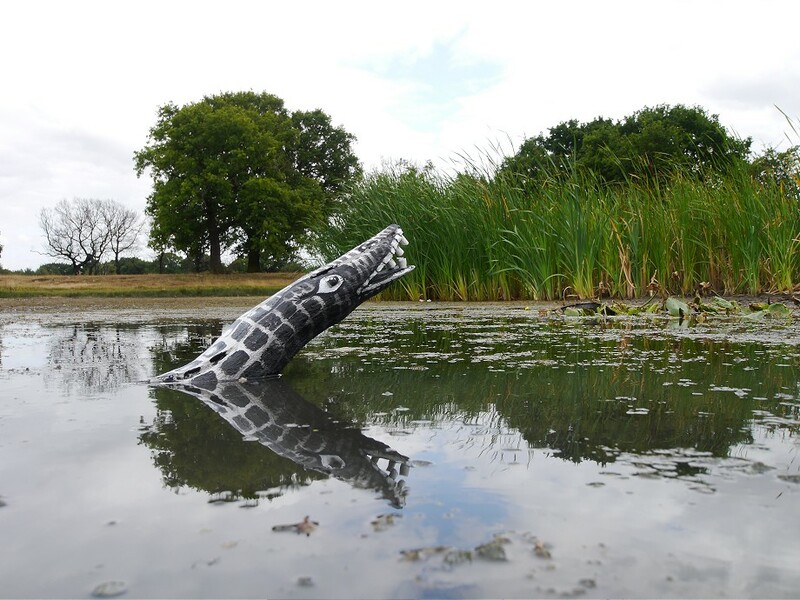 Each day, PHLEGM created new work inspired by and incorporating elements of his surroundings, including an eerie unearthed skeleton, a half-sunken log serpent (perhaps a nod to Nessie) lifting its head out of the water, and his take on the foliage-wreathed green man, a motif he’s been exploring for at least a decade. And, as if these new works by PHLEGM weren’t enough of a gift, the artist also promised to collect litter along the way! PHLEGM’s interest in incorporating the texture, history, and collective memory of his surroundings is even more apparent in one of the most grand and ambitious new works by PHLEGM, a giant mural painted in Toronto in 2016. Covering 12 stories of Padulo building, the mural depicts a thin, featureless figure sitting in a vaguely-fetal position high above the city. But take a closer look and you’ll see that the subject’s body is made up of hundreds of trees and houses, along with city and neighborhood landmarks like the Toronto ravines, the Royal Ontario Museum, the CN Tower, and the St. Lawrence Market. Here, PHLEGM has created a bold and intricate mural dedicated to a culturally neglected area of the city that, by all accounts, “authentically [reflects] the neighborhood” in which it was made. This trend continues across the ocean, where PHLEGM recently completed another epic mural in the small English town of Ventnor on the southern tip of the Isle of Wight, part of his residency at the Ventor Fringe arts festival. The final image is a classic PHLEGM combination of truly bizarre and deeply emotional: A giant, lanky, scale-covered creature sits in the water, using a patch of the iconic Queen Victoria’s isle as a blanket, seemingly shielding itself from the rain. Its eyes seem full of sorrow, but it endures. 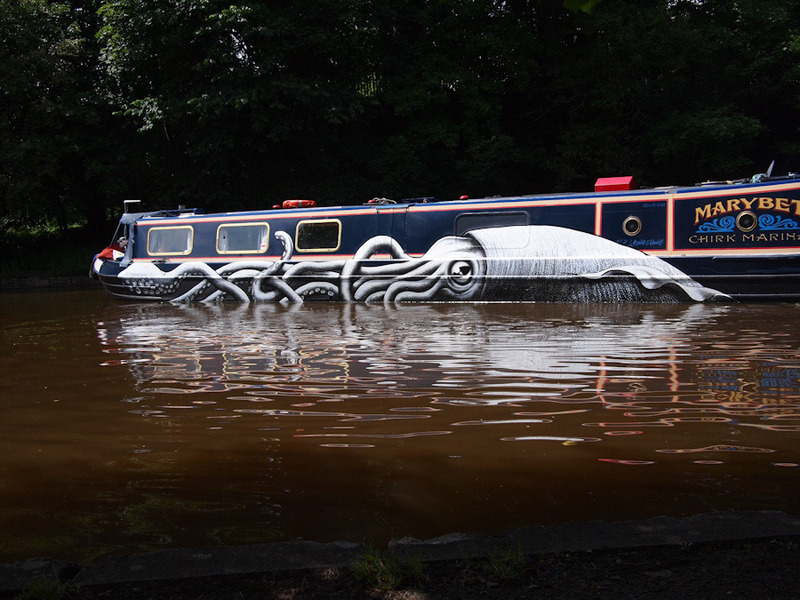 One look at his work, and we think you’ll agree that PHLEGM has certainly left his mark.